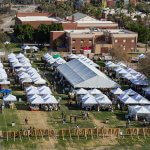 Wire*—Phoenix Festival of the Arts, the weekend-long celebration of arts, music, and culinary delights, takes place December 7-9 in Margaret T. Hance Park. 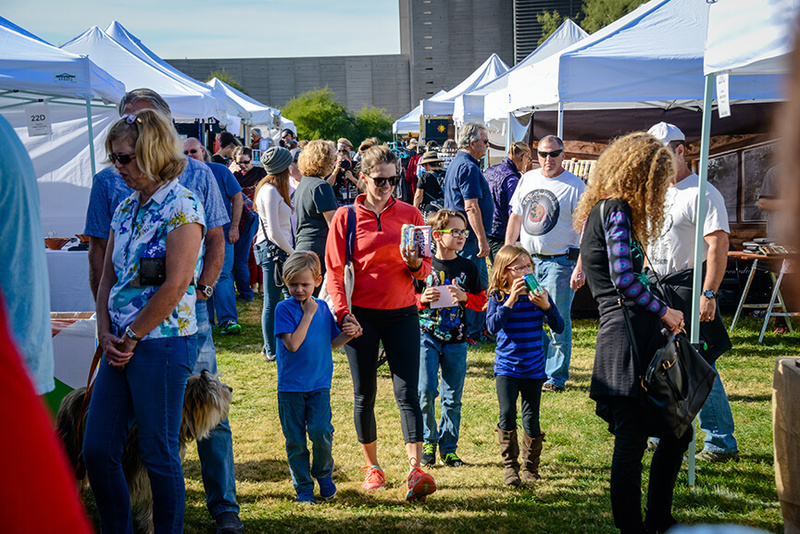 With over 150 art vendors and a full lineup of live music and entertainment taking place on three stages, it’s the perfect time to shop local and celebrate the season. 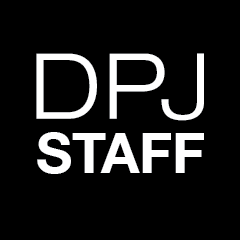 Photo by Patrick Rapps. Courtesy of Phoenix Center for the Arts. The Festival’s Main Stage, sponsored by Rebel Lounge, includes some of the best local bands in town. Friday talent includes Dr. Delicious, Danielle Durack, Trading Faces, and Ben Anderson. Saturday features Fairy Bones, Aunt B, Insomniacs, Coyote Tango, and School of Rock. Sunday caps things off with Some Dark Hollow, The Blood Feud Family Singers, The Feeble Kind, 76th Street, Phoenix Ukelele Group, and Martin Danel. The Entertainment Pavilion features art demonstrations, circus performances, dance ensembles, spoken word poets, choral groups, and more! The Acoustic Stage, sponsored by Soliloquies, will offer up some amazing up-and-coming solo and duo acts from around the Valley. A full lineup of all 3 stages can be found at phoenixfestivalofthearts.org/entertainment. Wine and beer, sponsored by Pillsbury Wine Company and Hensley Beverage Company, can be carried throughout the Festival grounds. 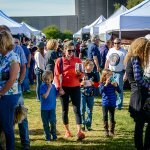 This year’s food vendor lineup includes 2 Fat Guys Grilled Cheese AZ, Cooks Kettle Corn, Cousins Maine Lobster, Fluffy Vegans, Freak Brothers Pizza, Hot Bamboo, Hummus Xpress, Local Lunchbox, Lulu’s Sorbetto, Royal Solitude Coffee, Satay Hut, Sonoran Sunset BBQ Grill, StrEAT Gyro, and The Fry Bread Truck. Photo by Peggy Coleman. Courtesy of Phoenix Center for the Arts. This year’s generous Festival sponsors include Circa Central, Portrait at Hance Park, SRP, Hensley Beverage Company, Downtown Phoenix, Inc., David Frank Design, Pillsbury Wine Company, True North, Muse, en Hance Park, Times Media Group, UEB Builders, Local First Arizona, Phoenix New Times, Yelp, Total Sound Productions, Schuster Printing, Roosevelt Row, Arizona Commission on the Arts, City of Phoenix Parks & Recreation, and City of Phoenix Office of Arts & Culture. The Phoenix Mural Project, a truly unique art project organized by acclaimed local muralist, Hugo Medina and sponsored by Portrait at Hance Park, is a signature component of the Festival each year. 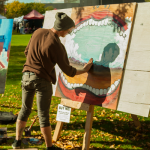 Thirty local artists will be painting live throughout the festival, while collaborating on shared mural panels with the artist on either side. 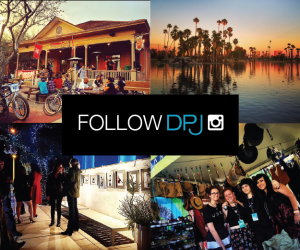 Mural panels will be sold during the event to raise funds for the artists, as well as the festival’s presenting organization, Phoenix Center for the Arts. The Community can also get in on the action by picking up a brush and painting on one of ten community mural panels onsite. The Family Zone, presented by the Teen Artist Guild, provides fun, free activities for families all day long. 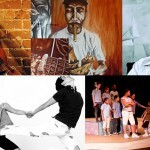 Activities include face painting, the teen art show & sale, and lots of fun with Phoenix Youth Circus Arts. Hours: Friday, December 7 from 12 p.m. to 5 p.m.
Parking/Transportation: Limited street parking available. 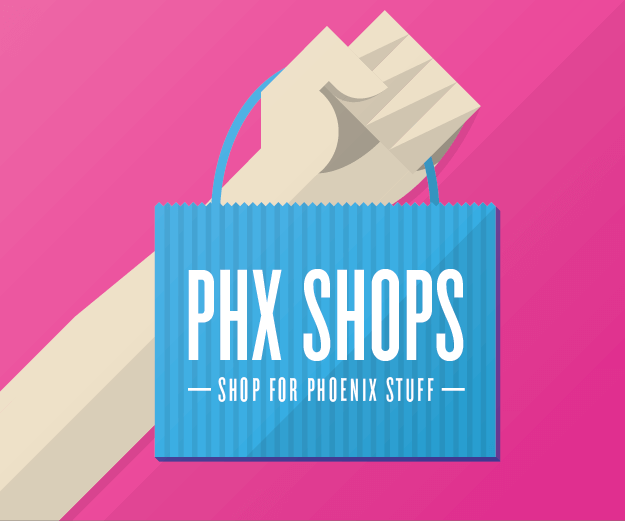 Avoid the hassle and utilize ride share, or take METRO Light Rail to the McDowell/Central Ave or Roosevelt/Central Ave.
Bike racks are also available onsite. 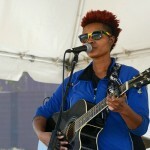 Event Highlights: Three days of live arts festivities – 150+ arts and culture vendors! PLUS – a hands-on community mural, food trucks, live entertainment on 3 stages, beer & wine, Family Zone activities, and more.